This artist’s impression shows a cutaway view of the parts of the Universe that SDSS-V will study. SDSS-V will study millions of stars to create a map of the entire Milky Way. Farther out, the survey will get the most detailed view yet of the largest nearby galaxies like Andromeda in the Northern Hemisphere and the Large Magellanic Cloud in the Southern hemisphere. Even farther out, the survey will measure quasars, bright points of light powered by matter falling into giant black holes. The Sloan Digital Sky Survey has been one of the most-successful and influential surveys in the history of astronomy, creating the most-detailed three-dimensional maps of the universe ever made, with deep multi-color images of one third of the sky, and spectra for more than three million astronomical objects. Under Kollmeier’s leadership, the survey’s fifth generation will build off the earlier SDSS incarnations, but will break new ground by pioneering all-sky observations, and by monitoring over time the changes in a million objects. “With observations in both hemispheres, no part of the sky will be hidden from SDSS-V,” she said. In the tradition of previous Sloan Surveys, SDSS-V is committed to making its data publicly available in a format that is helpful to a broad range of users, from the youngest students to both amateur and professional astronomers. “SDSS has long been a great example of hundreds of astronomers of all ages, from many continents, working together on a big project. We’re excited to continue that tradition!” adds Gail Zasowski, a professor at the University of Utah and the SDSS-V Spokesperson. The survey operates out of both Apache Point Observatory in New Mexico, home of the survey’s original 2.5-meter telescope, and Carnegie’s Las Campanas Observatory in Chile, where it uses Carnegie’s du Pont telescope. “I am delighted to see SDSS-V move forward and to see Carnegie’s collaboration with the survey expand,” said Carnegie Observatories Director John Mulchaey. SDSS-V will make use of both optical and infrared spectroscopy, to observe not only in two hemispheres, but also at two wavelengths of light. It will take advantage of the recently installed second APOGEE spectrograph on Carnegie’s du Pont telescope. Both it and its twin on Apache Point penetrate the dust in our galaxy that confounds optical spectrographs to obtain high-resolution spectra for hundreds of stars at infrared wavelengths. In the optical wavelengths, the survey’s twin BOSS spectrographs can each obtain simultaneous spectra for 500 stars and quasars. What’s more, a newly envisioned pair of Integral Field Unit spectrographs can each obtain nearly 2,000 spectra contiguously across objects in the sky. SDSS-V will consist of three projects, each mapping different components of the universe: The Milky Way Mapper, the Black Hole Mapper and the Local Volume Mapper. The first Mapper focuses on the formation of the Milky Way and its stars and planets. The second will study the formation, growth, and ultimate sizes of the supermassive black holes that lurk at the centers of galaxies. The Local Volume Mapper will create the first complete spectroscopic maps of the most-iconic nearby galaxies. “These data will enable scientists to study the chemical composition of galaxies and the interactions between stars, gas, and supernova explosions in unprecedented detail,” explained D. Michael Crenshaw, Chair of ARC’s Board of Governors and Georgia State University’s Department of Physics and Astronomy. 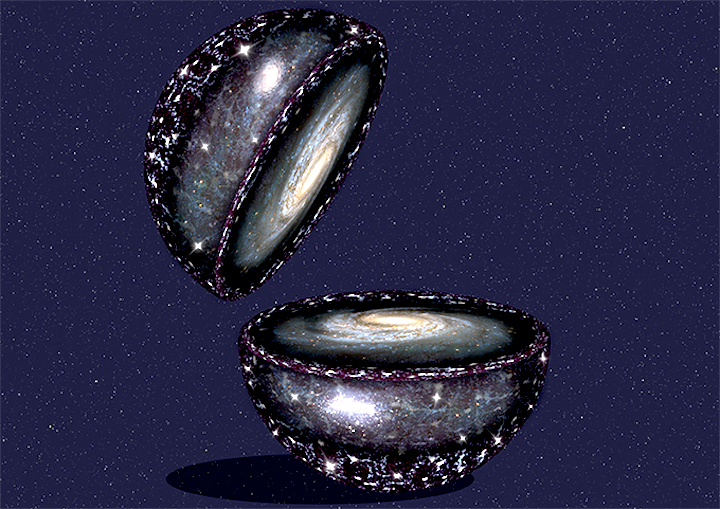 “By surveying the sky rapidly and repeatedly like no spectroscopic survey has done before, SDSS-V will not only vastly improve the data to answer known unknown questions, but it can—perhaps more importantly—venture into astrophysical terra incognita.” said Hans-Walter Rix, the SDSS-V project scientist and director at the Max Planck Institute of Astronomy. The project’s fifth generation is building its consortium, but already has support from 18 institutions including the Carnegie Institution for Science, the Max Planck Institute for Astronomy, Max-Planck-Institute for Extraterrestrial Physics, University of Utah, the Israeli Centers of Research Excellence, the Kavli Institute for Astronomy and Astrophysics at Peking University, Harvard University, Ohio State University, Penn State University, Georgia State University, University of Wisconsin, Caltech, New Mexico State University, the Space Telescope Science Institute, University Washington, Vanderbilt University, University of Warwick, Leibniz Institut für Astrophysik Potsdam, KULeuven, Monash University, and Yale University, with additional partnership agreements underway. “It’s wonderful to see the scope and breadth of the next phase of this amazing survey take shape,” said Mike Blanton of New York University, the current SDSS Director and chair of the SDSS-V Steering Committee.